What Types of Insurance Do Small Businesses NEED? Every year in the United States, 600,000 new businesses are started. There are many reasons people start their own small business, from a desire to be in control of their own destiny, to the passion to pursue a lifelong dream. Regardless of your reasons for starting a small business, protecting that business investment with insurance is an important part of business ownership. The right insurance will minimize the risks you face due to unexpected events, liabilities, and losses. 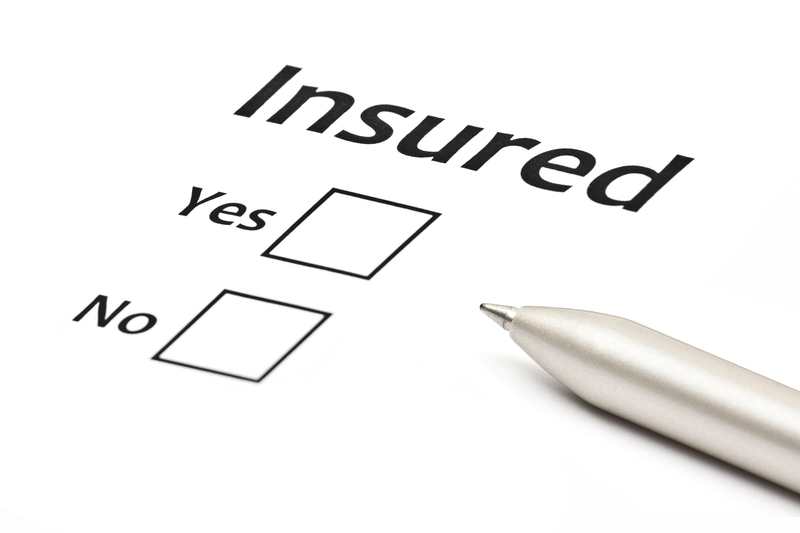 The most basic type of insurance that any small business requires is liability insurance. The basic idea behind liability insurance is to protect the policy holder against lawsuits or other legal exigencies. Small-business liability insurance covers things like bodily damage or third-party property damage vis-a-vis your staff, products and services. Liability insurance is the bedrock of small business insurance because it protects your most valued assets. Workers’ compensation is perhaps the second most important form of insurance to protect you and your small business. This type of insurance focuses on wage replacement and employee medical benefits in the unfortunate circumstance that a small-business employee is injured while on the job. The important thing to bear in mind is that small-business employees, by signing up for workers’ compensation, waive the right to sue the employer for negligence vis-a-vis an injury sustained on the job. Workers’ compensation effectively indemnifies small business owners against huge payouts and/or protracted court appearances. Most states require workers’ compensation for small businesses hiring W2 workers. Professional liability insurance, also known as errors and omissions coverage, protects small business owners against charges relating to advice given or services rendered by employees. Professional liability insurance can help lower the cost of defending the business against negligence claims in court and/or reduce the monetary damages granted in a civil lawsuit. Small business owners in the fields of real estate, law, accounting, consulting or myriad other advice-giving professions that hire less than 500 employees should consider professional liability insurance to weather possible negligence claims. This type of insurance coverage goes beyond regular liability insurance. This brand of small business insurance is a commercial insurance package specifically designed for small to medium-sized businesses. Business owner’s policies couple general liability insurance and property insurance into one bundled insurance coverage package. Small business owners can expect a reduced premium when purchasing business owner’s policy insurance coverage. That said, although business owner’s policy coverage can be economical for your small business, business owner’s policies often have stringent eligibility conditions. The property insurance portion of a business owner’s policy covers things like fires, explosions and vandalism whereas the general liability side covers third-party injury or dismemberment. Commercial auto insurance helps protect all vehicles owned and/or used by a small business. This kind of insurance is especially handy for small businesses that use staff to transmit goods and services. Work cars, trucks and delivery vans are all indemnified against damage and collision under commercial auto insurance policies. If your small business employees are driving their own vehicles for professional reasons, you may also want to consider non-owned auto liability to insure the company vis-a-vis an uninsured or underinsured employee. In some instances, non-owned auto liability can be bundled with a business owner’s policy to reduce the overall cost of coverage for cash-strapped small business owners. Some small business owners may want to consider disability, life and health insurance. While not directly related to small business operations, purchasing one or all three kinds of external coverage could prove prudent in the long run. Randy Reynolds is the Managing Partner for Texas Associates Insurors. His knowledge and experience extends to the manufacturing and construction industries, as well as to financial services, hospitality and not-for-profit organizations.